Traveling can be stressful enough without the clutter. So why not make your life a little easier by staying organized and staying in control. We have compiled a few tips to help you to stay organized and in control on your next extended stay. Create a packing list. This will help you be sure you are packing all the things that you need and that nothing important gets left behind. 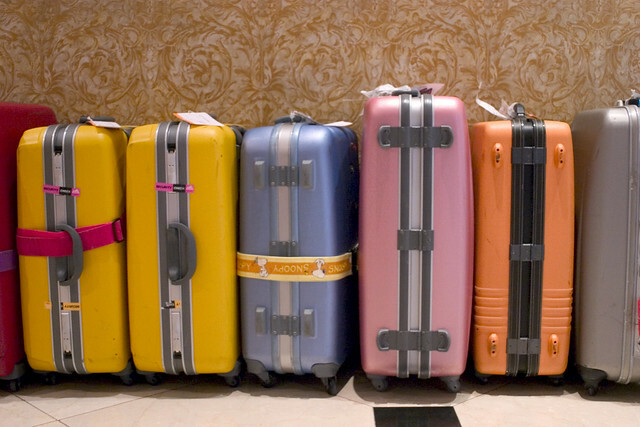 Make sure that you also make a duplicate of the list so that when you leave your hotel you can be sure all your belongings get back into your bags. Last minute packing, or "Panic Packing" is the WORST! When you do this, you end up just throwing whatever into your bag and hoping you have things that match. By packing a few days in advance you can save yourself the stress as well as a little money, cause lets be real. If you panic pack, you're going to leave things at home that you needed or pack things that don't match and in turn you'll end up buying a bunch of things you don't really need. So do yourself a favor and pack a few days in advance. Keep your jewelry, makeup, tech gadgets and other smaller accessories organized in smaller carrying cases or baggies. This will help you to keep track of them so they do not get lost. Unpacking and hanging clothes and organizing the room to fit your comforts will help so much during the trip. This way you will not be scrambling through clutter and chaos of bags and unfolded clothes trying to get what you need. When you leave, be sure to repack exactly the way you packed before. Double check your list to make sure all your belongings are there. If you have extra things that you purchased on your trip try to keep one or two of the bags that they came in to pack them in.